Today I got on the road with RyukyuRu. We went to do some photography in the city, again. Starting at UNESCO Shuri Castle I recomposed a photo I had done before at night. Then moved outside the castle gates to shoot another UNESCO World Heritage property that is missed by most visitors, even though they walk right by it on their way into the castle. 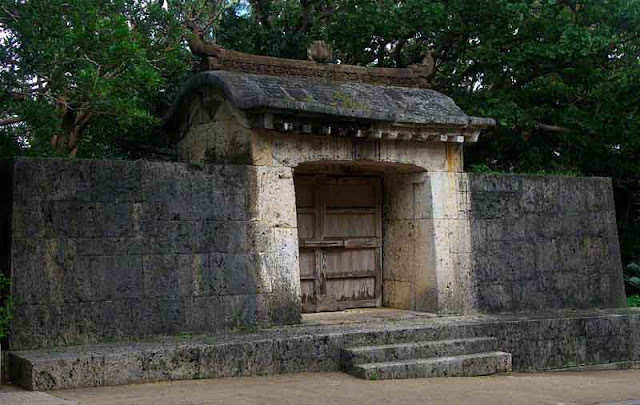 It is the Stone Gate of Sonohyan Utaki. 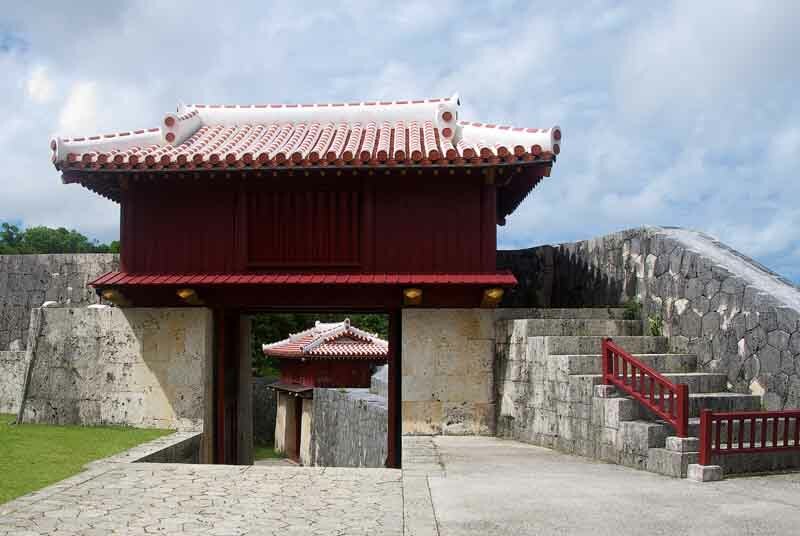 That is the entrance to a sacred site where worship took place when Okinawa was known as the Ryukyu Kingdom and the property is still considered sacred to most Okinawans to this date. 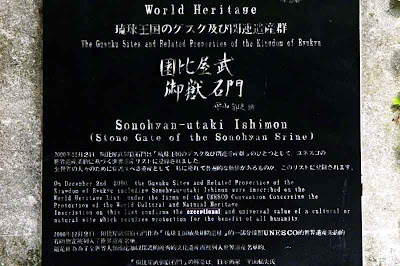 To make sure I don't get this Utaki, or shrine confused with another one we have in the east I caught a quick shot of this plaque. 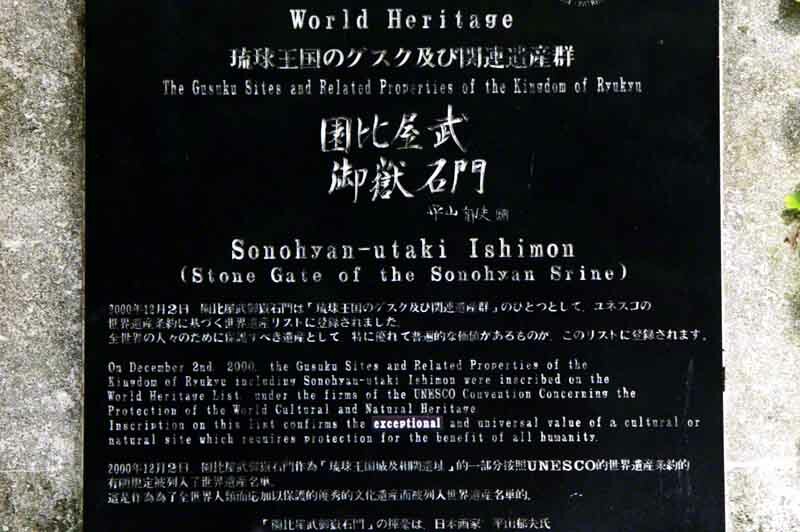 I'll keep it on file along with the Stone Gate photo and have all the information I need for research in both Japanese and English. You never know when it may come in handy. Now, taking photos of castles, shrines, festivals is alright with me. It can even be a challenge for me at times. That can be fun but, I really enjoy being far away from any city a whole lot more. 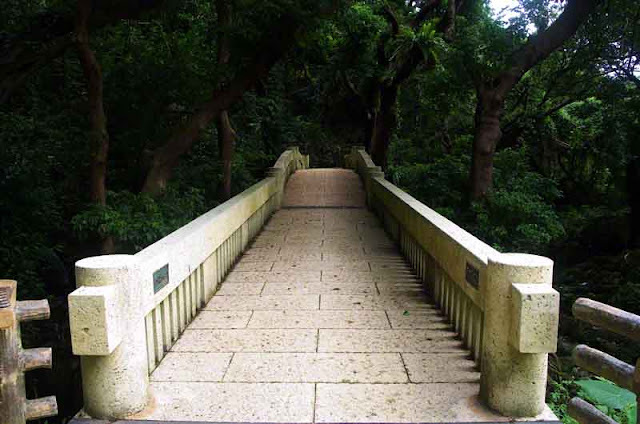 Before we got to that bridge in the first photo, wildlife called me. RyukyuRu was locking up the car or checking his GPS while I was off setting up a tripod. 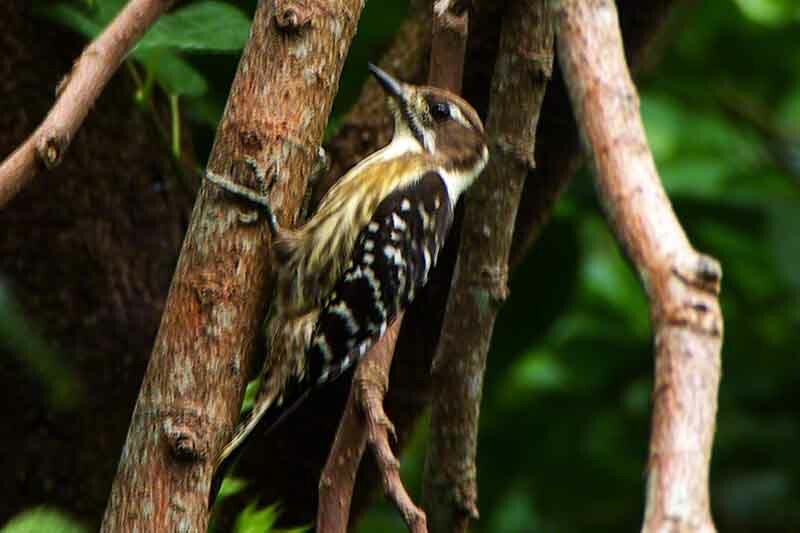 When he caught up to me I sort of whispered "Woodpecker" and pointed in the direction I spotted it. These characters don't hold still for very long. That's where Continuous, or Burst Mode comes in handy. After I knew I nabbed a good shot of some wildlife, we could have headed home. I was happy. But, we decided to investigate this patch of woods and found all kinds of things to shoot. We'll have to get back there one of these days. He can drop me off in the early morning, go shoot castles, sacred sites, temples, waterfalls, or whatever else he sees along the trail. Then, come back and pick me up at sunset. When wildlife calls just get me out of town.